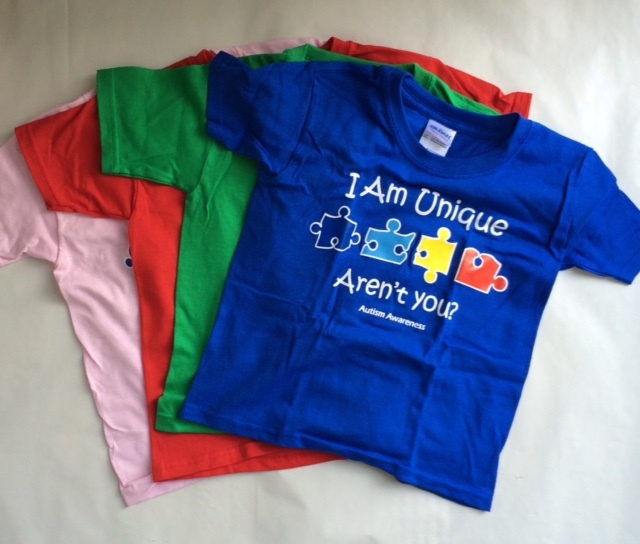 Home > Autism Apparel > Autism Awareness Child T- Shirt "I Am Unique...Aren't You?" Autism Awareness Child T-Shirt "I Am Unique...Aren't You?" These shirts come in three colors, red, green or blue and two size options, child XS (4-6) or child small (6-8). Please make your selection from the drop down menu. They are made of 100% preshrunk cotton.